Apple's new macOS High Sierra introduced at 2017 WWDC caused a stir like before, which is, however, a big challenge for video converter installed on your Mac if you upgrade to macOS High Sierra as many tools fail to support macOS High Sierra in a very short time. While you are scrambling to update macOS, don't forget to bring video transcoder for macOS Sierra/High Sierra up to date. A raft of video processing software for macOS Sierra has some catching up to do to truly fit in on macOS High Sierra. 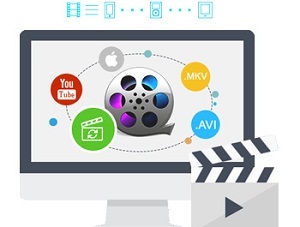 Don't waste your time, look at our review of best video converter for macOS High Sierra here and learn how to decode and encode video on macOS Sierra of MKV FLV MTS AVI etc. to any other video audio formats, and macOS Sierra compatible formats MOV MP4 M4V quickly without losing quality. 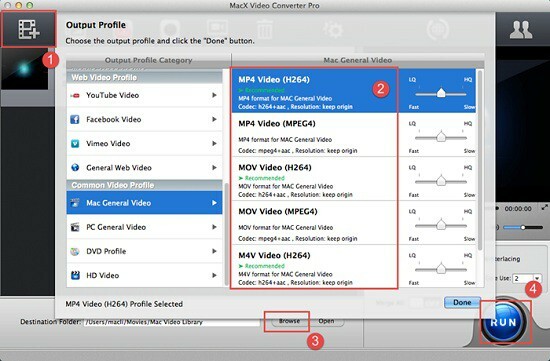 MacX Video Converter Pro is the first video converter for Mac updated to support macOS Sierra and deserves the title of best video processing software for macOS Sierra. It helps convert video movie files on macOS Sierra in amazing fast speed, without taking up too much CPU and influencing other applications running at the same time, thanks to Intel Quick Sync Video hardware acceleration. There's no noticeable video quality loss in the output file. It can convert among various video formats, for example, convert FLV to MP4, MP4 to MOV, AVI to MP4, MKV to MP4, MTS to MOV, MP4 to MP3, MOV to AAC etc. The video converting software for macOS Sierra can also help convert videos in 720p, 1080p, 4K UHD, up to 8K. In addition, it's the easiest one to use and requires no plugin, just add video file, choose video format and start conversion. Free download the video converter on macOS Sierra and run it. The video conversion program for Mac Sierra offers life-time free update. You'll be informed if it is available. Step 2: Choose output profile. The 4K UHD video converter for macOS Sierra can process video in up to 4K 8K resolution to Mac supported video formats, YouTube/FB/Vimeo video formats, iPhone, iPad, Android and more. Step 3(optional): Click "Browse" button to choose a destination folder to save converted video files on macOS Sierra. Step 4: Hit "RUN" button to start to convert video with fastest speed and no quality loss on macOS Sierra. Advanced video settings are provided by the best video converter for macOS Sierra for serious users. You can trim, cut, split, join video file, add watermark/subtitles, reduce large video file size, record macOS Sierra screen video, make photo slideshow, and most importantly, download videos on macOS Sierra from YouTube, FaceBook, Vimeo, Dailymotion, Metacafe, 300+ online video music sites. After the video conversion on macOS Sierra is done, you can transfer video to iPhone iPad mobile devices without iTunes sync using MacX MediaTrans, the fastest and easiest file transfer software. It helps copy video file to phones tablets from computer by simply clicking adding within seconds. The reliable data transfer tool for macOS Sierra can transfer iPhone to Mac, iPad iPod to Mac, including movies, TV shows, footage, music video and more media files. Don't want to shell out any money? 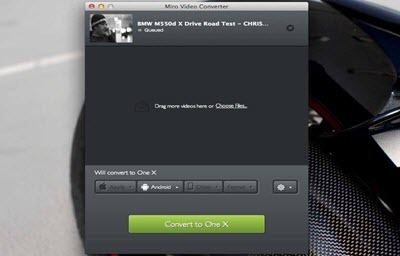 MacX Video Converter Free Edition comes as a good free video processing tool for macOS Sierra 10.12 and High Sierra 10.13. Received as the No.1 free media converter for mac Sierra, it supports a wide range of video formats both as input and output, including 720p, 1080p HD, 2160p 4KM 8K video in MTS, M2TS, MKV, MP4, to name a few. On the list of video converting freeware for macOS Sierra, MacX Video Converter Free Edition is the most powerful one, which delivers 36× faster real time speed and outputs original quality. You can use it to convert video on macOS Sierra for free without fuss, and it's easy even for novice users to get started - load video file, choose output file format, start to convert video movie file(MKV to MP4, AVI to MOV, FLV to MP4 etc.) on MacBook Air/Pro/iMac with macOS Sierra. 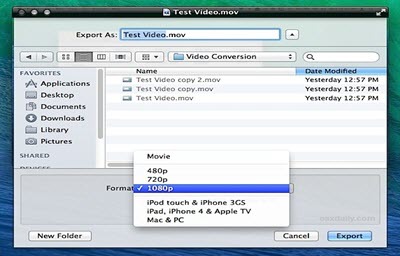 QuickTime, as a commonly-used media video player for macOS Sierra based MacBook Pro/Air/iMac, can be used as a video transcoder for macOS High Sierra that would meet the most basic video conversion needs. It accepts video files certain older or third-party media formats. The converted file might have larger file size than the original file does if you want the original quality, according to Apple's official saying. 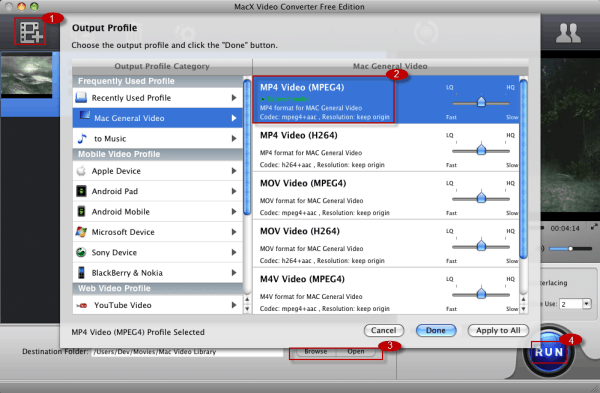 QuickTime player supported video formats are limited to MOV, MP4, M4V. Other free video converter for mac Sierra is needed to do further video conversion on macOS Sierra. 2. Got to "File" menu and choose "Export" to export video file for converting. 3. Click "Format" and select a format as output, and save. A free video encoder and decoder for macOS Sierra again. For those who want simplicity and a reasonably quick way to convert video on MacBook Pro/Air/iMac running macOS Sierra, the application is a good choice for beginners. It can convert major video formats like MP4 AVI MOV, MP4 to MP3 and extract MP3 audio from video on macOS Sierra. Interface is quite clean and user-friendly. This freeware offers no advanced video settings and batch video conversion is not supported currently. Video formats accepted by the tool as inputs and outputs: MP4, AVI, MOV, FLV, MKV, WMV, MOV, H.264, Xvid, Theora. This video converter for macOS Sierra is lightweight and simple to use. It allows to convert videos of AVI, FLV, H.264/MPEG 4, MKV, MPEG, QuickTime format, change video quality, like 1080p to 720p, 4K UHD to 1080p, and shrink video size, with output profiles for mobile devices, iPhone, iPad, Android. You can free download it from its official home page, about 80MB of free hard drive space is required. Few advanced options are available on the video conversion software for macOS Sierra. It lacks frequent update, which means some bugs of the macOS Sierra are not fixed.